As the 1980s wound down, there were precious few bright spots in the horror genre and certainly, very few original, non-franchise-related stand-alone succesess. 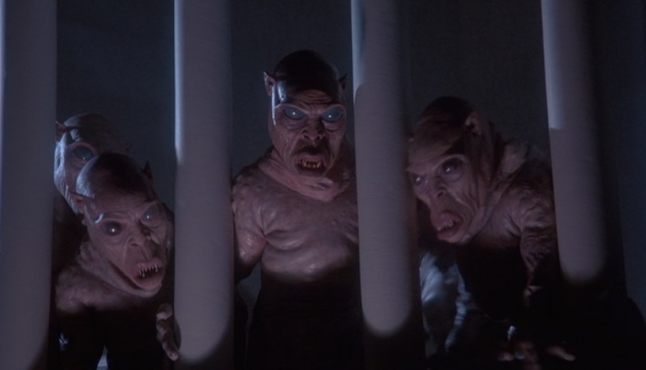 But director Tibor Takacs‘ 1987 Canadian teen supernatural romp The Gate was a great little slab of imaginative dark fantasy. And, despite its lower budget and lack of any “name” stars (though it was an early starring role for then-child actor Stephen Dorff), it did better business than the big Hollywood movie it opened up against, the Warren Beatty/Dustin Hoffman/Isabelle Adjani bomb Ishtar. It became an instant cult favorite and remains beloved by fans around the world. 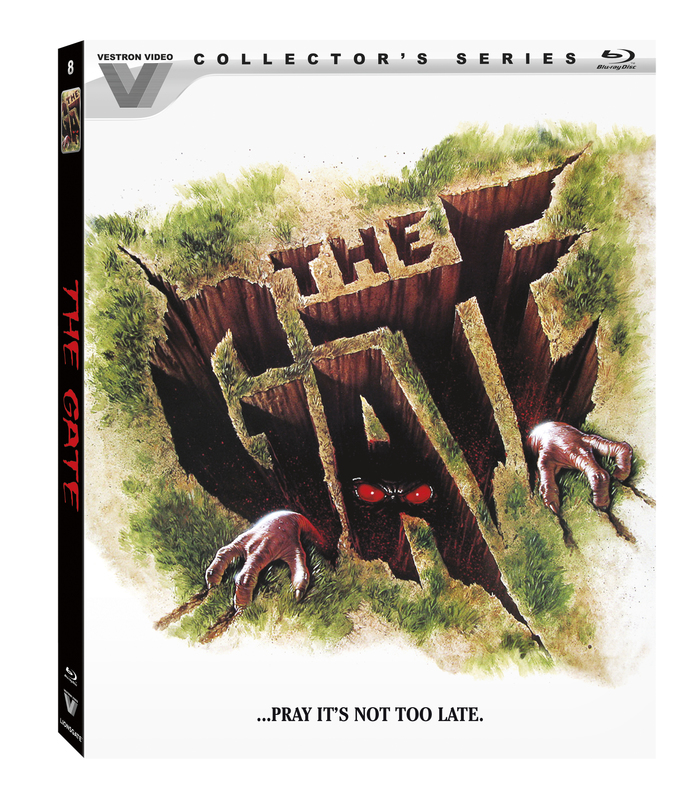 Now, for the first time on Blu-ray, The Gate is set for release in a limited edition on February 28 from Lionsgate, armed with all-new, never-before-seen featurettes and audio commentary. A must-have for all classic horror fans, The Gate limited edition is part of the much-hyped (and deservedly so) Vestron Video Collector’s Series and will be available for the suggested retail price of $39.97 (US). Synopsis: When best friends Glen and Terry stumble across a mysterious crystalline rock in Glen’s backyard, they quickly dig up the newly sodden lawn searching for more precious stones. Instead, they unearth The Gate — an underground chamber of terrifying demonic evil. The teenagers soon understand what evil they’ve released as they are overcome with an assortment of horrific experiences. With fiendish followers invading suburbia, it’s now up to the kids to discover the secret that can lock The Gate forever . . . if it’s not too late. Are you a fan of The Gate? Share your passion for this neat-o slice of ’80s monster mashing in the comments section below!